NationTalk speaks with Chairman, Rob Norris about the vision and goals of Canada World Youth since TRC as well as the work they are doing with NationTalk and Good Influence Films through their Indigenous 150 Plus film series and the podcast program they are supporting along with NationTalk. NationTalk speaks with Federation of Sovereign Indigenous Nation’s Vice Chief David Pratt. VC David Pratt speaks about priorities they have been working on with success (recorded one week earlier) for child welfare and priorities such as needed investments in suicide prevention and health transformation. In celebration of our recent National Indigenous History Month, Challenge4Change has launched a pilot program in Ontario to fundraise for the retention and growth of Indigenous Languages and Culture. High Quality/Radio Media Download: NationTalk interviews are distributed to general media, radio stations and subscribers across Canada. NationTalk Scene with Host Bob Phillips @ the recent World Indigenous Peoples Education Conference speaks with Matthew Miller who discusses safety and fire protection issues facing our First Nations Communities. High Quality/Radio Media Download: NationTalk interviews are distributed to general media, radio stations and subscribers across Canada. Release Date:? May 5, 2017? Andre Morriseau speaks to Gerda Hnatyshyn, President of The Hnatyshyn Foundation, a national charitable foundation dedicated to supporting the arts through its REVEAL Indigenous Arts Awards 2017. High Quality/Radio Media Download: NationTalk interviews are distributed to general media, radio stations and subscribers across Canada. 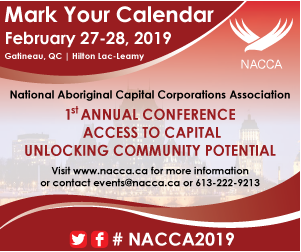 AFOA Canada’s 17th Annual National Conference is here!